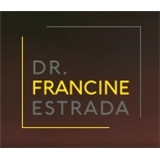 Francine C. Estrada, DDS, PC (New York) - Book Appointment Online! Was in the chair before my appointment time - super quick service - friendly staff. Dr. Chang was great. She was very gentle and took her time to explaine everything to me. I would recommend her to anyone, cause she is that amazing.